Posted September 13, 2018 by Miles Gopie & filed under Newswire, The Tech. 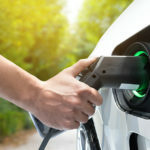 The National Research Council of Canada Industrial Research Assistance Program (NRC IRAP) has granted Nano One’s “Coatings for High Durability Lithium-ion Battery Cathodes” project $349,000 in non-dilutive and non-repayable funds. The project is intended to study various coatings and dopants that can reduce or remove instabilities in cathode materials. Nano One intends to focus its resources on cobalt-free High Voltage Spinel (HVS) technologies. Its findings will be applied to other high-nickel materials such as NMC622.